Baerlocher operates as a global player with its research laboratories and production facilities around the world. 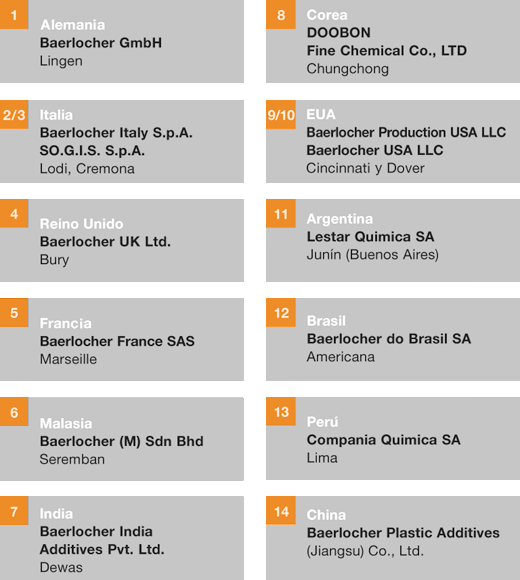 Baerlocher has worldwide networks of manufacturing centers in order to meet of the customers in all regions. We make regular investments to upgrade our technologies, our capabilities and to ensure the quality of our products.